1. What are nausea and vomiting? 2. What are the causes of nausea and vomiting? 7.1. 1. What essential is oil good for nausea? 7.2. 2. Can nausea oils make you sick? 7.3. 3. Are nausea and vomiting dangerous? 7.4. 4. What are the top essential oils for morning sickness? 7.5. 5. Is exercise good for morning sickness? Nausea and vomiting are not a disease but a symptom of many different diseases , . Nausea, vomiting, may be a physiological or a reflex phenomenon but in many cases, it is a manifestation of a disease, even a serious illness. Nausea and vomiting are common symptoms of many illnesses . Nausea is an uncomfortable feeling, but not painful or accompanies with pain. There are several causes of nausea. You can completely get rid of nausea and vomiting at home. So, do you know what are the best home remedies and essential oils for nausea? Nausea is a very uncomfortable feeling, you feel waves rolling in the stomach and behind the throat. Vomiting is characterized by extreme discomfort, diaphragmatic cramping, which causes stomach contents to expel orally. Usually, nausea and vomiting often come together. However, there are some cases of feeling nausea without vomiting or vomiting without prior experience of nausea. There are many causes of nausea and vomiting which you should understand. Nausea can lead to some serious problems if you can not control. So, it is very important to know about the causes of nausea and vomiting. Here are some common causes of nausea and vomiting. Many women may feel nausea and dizziness during the first trimester of pregnancy , , . This condition is called morning sickness but it is quite normal. It is characterized by nausea and vomiting. However, in some cases, morning sickness can affect your health. Excessive vomiting can lead to dehydration, weight loss, electrolyte imbalance, dizziness, and malnutrition. It may due to conflict or disturbance between the signals being sent to the brain from the eyes, vestibular and sensory receptors in tendons, joints, and body tissues . If the brain receives a conflicting signal regarding the location of the child People, it will cause symptoms like nausea, dizziness, and vomiting. A panicked psychological panic can produce symptoms like dizziness, difficulty breathing, palpitations, sweating, chest pain, nausea,… . People who have disorders of Post-Traumatic Stress are more seems to have psychological panic than other people . Some drugs might cause side effects such as dizziness and vomiting, such as antidepressants, antihypertensive drugs, etc. These drugs inhibit the enzyme’s metabolism in the body and lead to dizzy. If you stop using these drugs, nausea can go far away. Menstrual pain is an abdominal pain that occurs during “red lights” days. It can lead to nausea, dizziness, and back pain… in women. According to health experts, these symptoms are caused by the release of prostaglandin from the endometrium. It is true that nausea and vomiting are the most typical symptoms of digestive problems like diarrhea, gastroenteritis and food poisoning. These are the reactions of the body due to digestive disorders causes. Severe nausea can cause to dehydration, electrolyte imbalance in the body, increased levels of dizziness, and possible harm to the body. People who have frequent heart problems, such as irregular heartbeats, arrhythmias, heart attacks, sudden myocardial infarction, and sudden fall of blood pressure, may not be able to supply enough blood and oxygen to the brain. Therefore, it affects the brain tissue. This can lead to dizziness and loss of consciousness. In addition, congestion of blood vessels leading to the brain can also lead to dizziness. People who have high blood pressure can also have a high risk of dizziness, nausea, headaches, and sweat more than others. Respiratory disorders can lead to shortness of breath. Dyspnea is one of the reasons for the limited intake of oxygen and the resulting dizziness and nausea. The inner ear is one of the most important organs of the body. It plays an essential role which maintaining a sense of balance. Infections, inflammation, fluid buildup or tissue damage in the ear also make you feel unbalanced resulting in dizziness and dizziness. If you have frequent nausea and dizziness, check with your doctor to find out the exact cause of the condition. Severe nausea and anxiety will make pregnant women and adults more tired. In the opinion of experts, feeling nausea is no way to cure through the end of week 12 of pregnancy, while there are those who suffered during pregnancy. However, you can try some below essential oils for nausea that make you feel better and relaxing to overcome morning sickness or motion sickness. Lemon contains vitamin C and it can create a fresh feeling for the human . Lemon oil is a helpful essential oil for nausea and vomiting in pregnant women and car sickness. Lemon oil does not effect to your baby if you are in morning sickness in the first trimester. You can pour lemon essential oil into a handkerchief. Then put your nose in place with oil and take a few deep breaths, you will feel nausea and discomfort disappear gradually. Adding a few drops of lemon oil to a cup of warm water to drink can both increase the taste and can help prevent pregnancy from feeling sick. 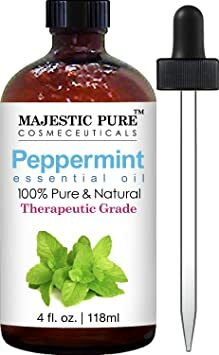 Peppermint oil works to help the mind to increase concentration, excite, relieve nausea and morning sickness by the respiratory effects of soothing the stomach . Take a glass of warm water and a few drops of pure mint oil (do not use essential oil or doped substance) and sip until the nausea passes. Or you can take a bottle of 10ml peppermint oil on your side so that whenever you are upset, nausea can be inhaled directly. However, when direct inhalation, you should avoid contact with the nose with the oil because it can cause burning sensation due to very concentrated oil. Lavender oil itself has a sedative effect, making people feel better and sleep well. Lavender essential oils are also particularly effective in reducing nausea, especially in the morning. 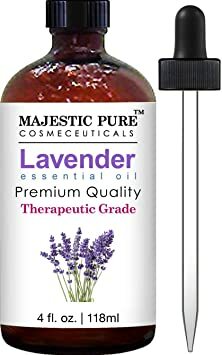 Lavender oil is a natural essential oil that is good for purifying the body, refreshing spirit, aromatic bar of lavender to make you feel relaxed and comfortable. Lavender oil is an aromatherapy for nausea. Just drop a few drops of pure essential oil into the corner of the pillow, so that you can sleep well, and have a refreshing spirit the next morning to prevent nausea. Pomelo oil is one of the essential oils for vomiting that you should know. 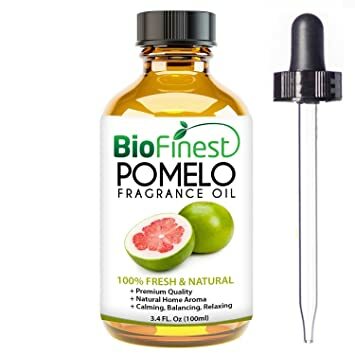 Pomelo oil has a very mild odor, which gives a feeling of calm and coolness. When you feel nauseous, dilute a little bit of pomelo oil and rub it on your forehead. In the other hand, you can inhale directly from the bottle. 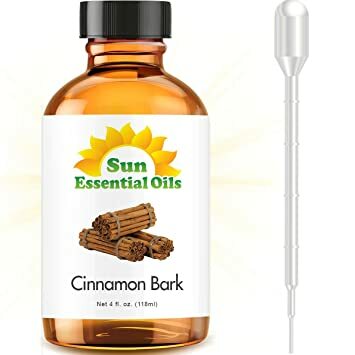 Cinnamon Oil is a natural essential oil that is considered as a medicinal substance that helps cure and improve health. Essential oils are extracted from 100% leaves, cinnamon, and cinnamon bark. Cinnamon oil helps reduce stress, stress and help you sleep better, sleep deeper. You can inhale cinnamon oil directly before your trip to prevent car sickness. Moreover, you can take some drop of cinnamon oil in water and drink when you feel nausea of pregnant. Tea tree is an another essential oil for car sickness and pregnancy that you should know. 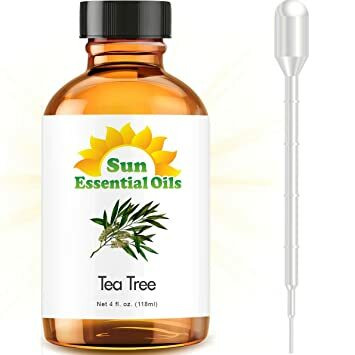 Tea tree oil brings the comfortable feeling for you and makes you relax when using. Tea tree oil also uses as one of essential oils indigestion. Tea tree oil contains some chemicals that promote food absorption, especially L-theanine is good for our intestine. Ginger is considered one of the most effective morning sickness treatments for pregnant women. Ginger oil is useful and convenient for pregnant women that they can put in the bag and use anytime when they feel nausea. Inhale absolutely ginger oil when you have morning sickness or car sickness. With pregnant women, you can also drink warm water and some drops of ginger oil in the morning to prevent nausea feeling. The first three months are usually the hardest and most tiring time for pregnant women, especially those with morning sickness and nausea. Besides using some essential oils for dizziness and nausea, you can try some following safe and simple home remedies for nausea. Water is the simplest, safest, and most effective way to vomit, especially for morning sickness. You only need to drink 1 cup of water every hour to minimize nausea and discomfort in the body. Furthermore, the mother’s body needs a lot of water for the fetus, so drinking plenty of fluids is good for both mother and baby. Besides, to cure the best nausea with water, pregnant mothers need to drink water properly. Specifically, every morning mother should put a cup of water near the bed to drink when just woke up. When drinking, you should pay attention to take small sips. Wait for a moment to go down the stomach and get up, not in bed. Mothers should not drink plenty of water at one time but drink plenty of fluids throughout the day. Ginger prevents vomiting by strengthening the digestive system, reducing acid in the stomach causing vomiting . Cut a few slices of ginger, then chew ginger and swallow. Drink water to keep from choking and let the ginger go down the stomach. Put fresh ginger into the blender to grind. Take ginger and make ginger juice. Put ginger juice into a glass of water, add a little honey and drink every morning until the end of nausea or morning sickness. Make ginger tea by sharpening a fresh ginger branch with 1 cup of water for 10 minutes. Then, filter the ginger residue, add a little honey to the ginger juice sharp and drink slowly. Drink 1 to 2 cups of ginger juice every morning for the best morning sickness treatment. In addition, you can also buy ginger ale mixed berry instead of fresh ginger. This is faster and saves you time. Simply bring gingerbreads with you and take a pill to remove the odors that can make you vomit. Ginger is hot so the mother should not use too much but should use moderately, avoid affecting the health of mother and fetus. Lemon juice has the effect of curing nausea to pregnant women by overcoming the unpleasant smell that causes nausea . Squeeze a lemon into the cup, remove seeds. Pour water into the cup, then add honey. Using a spoon stir with lemon juice, water, and honey. Drink lemon juice every morning to prevent morning sickness. Simply put, always bring a lemon beside your body, smell the lemon peel regularly to prevent odors that can make you nauseous. In addition to lemon, orange or grapefruit essential oils are also very pure, pleasant and can dispel the feeling of nausea, overwhelming the smell makes mother uncomfortable. Just like ginger and lemon, mint works to soothe nausea, vomiting and morning sickness in pregnant women by effectively calming the stomach . Give a spoonful of dried mint leaves to a cup of tea. Pour hot water into the mouth of the water. Cover and leave for 5 – 10 minutes. Tea filter, add a little honey or sugar, stir and drink even when the tea is hot. Buy menthol, pour a small amount of peppermint oil into a handkerchief. Clench your nose to the place with menthol on the towel and take a deep breath, then you will not feel the feeling of nausea and discomfort anymore. Note: If you do not like the smell of mint, you should choose other herbs like lemon or ginger. If not, mint is the cause of more nausea. Why is vitamin B6 effective in preventing vomiting naturally? According to doctors, vitamin B6 is abundant in brown rice, banana, avocado, fish, corn, and nuts. This vitamin balances your digestive system, so there is an effective treatment for morning sickness and vomiting. Moreover, this vitamin is also not harmful to the fetus and is considered safe for mothers in the future. The appropriate dosage for you to take this vitamin is 25mg, 3 times a day. However, pregnant women should not take any medicine without a doctor’s prescription. Ask your doctor before taking medicine, including vitamin B6. You just need to snack a little something like a banana or a few biscuits when you feel nausea. Then you will forget the feeling of nausea immediately. In addition, biscuits or bread are rich in carbohydrates that are easy to eat and absorb, so eating them at meal time can help to absorb excess acid in the stomach. As a result, you will avoid excess acid, which can lead to heartburn and nausea. Acupuncture is increasingly being used in healing, including the treatment of nausea in pregnant women. Acupuncture is always safe and you do not have to worry about applying this treatment. However, you can not do acupuncture yourself at home. You need to meet someone with a good reputation for effective and safe acupuncture. Gentle exercise is good for pregnant women. If you have morning sickness and feel uncomfortable in your body, you just have to walk lightly for a while. This will improve your mood as the amount of progesterone in your body is reduced. Moreover, walking is also beneficial for the digestive system, so you will avoid problems of vomiting and discomfort. Ideally, you should walk in open, open spaces where there are fresh air and many green trees like the park. After dinner, you should go for 15-20 minutes. If you can not go out in the evening, go around the house and do the work every day until the symptoms of vomiting are gone. Avoid eating large meals because it will cause stomach upset uncomfortable, easily nausea. Instead, eat small meals throughout the day and eat as many meals. Do not starve. Eat between meals to avoid excess acid causing nausea. Do not eat fatty items and fried foods that are greasy. These foods are often difficult to digest and cause nausea. Eat foods high in carbohydrates or proteins because they are easy to digest. Do not over stress and too much attention to the obsession with nausea. Relax your body, listen to music, talk or eat something to overwhelm the feeling of nausea. If you feel nauseous when you smell the food being cooked or the food is still hot, eat cold food. Go to bed earlier in the evening and get up earlier in the morning. Besides, going for a walk and avoiding all day bed is also useful. Yoga, practice deep breathing also helps you avoid stress and reduce vomiting. Eat some cold ice cream in the morning can help you get tired of morning sickness and nausea. Avoid lying down after eating. Wait at least 30 minutes, then lie down. If you vomit too much and your natural remedies are not working, consult your doctor for advice. When nausea and vomiting accompanied by chest pain, the patient should seek medical advice immediately. vomiting blood or dark brown fluid. Go out of the blood. A headache is severe, stiff neck. 1. What essential is oil good for nausea? There are many essential oils for nausea.Depending on each individual, the best essential oil for nausea is different. Peppermint, ginger oil and lemon oil is considered as the top essential oil for travel sickness and morning sickness. You can reference top 7 essential oils that we mentioned above. 2. Can nausea oils make you sick? Nausea oils have many advantages on promoting your car sickness and morning sickness. However, when using a large amount of oil or abusing of the nausea oils, They may bring some disadvantages for you. Moreover, if you have any reactions when using nausea oils, stop using the recent oil and try the other nausea oils that suitable for you. 3. Are nausea and vomiting dangerous? Nausea and vomiting are not the diseases. They are the signs and symptoms of some diseases. They are not really dangerous but they may become dangerous if they prolong for a long time and accompany with some other signs and symptoms such as abdominal pain, severe headache, or hemorrhage…. Consult the doctor when you have those signs and symptoms. 4. What are the top essential oils for morning sickness? Morning sickness is a typical sign in pregnant women during the first trimester. You can try some essential oils such as peppermint oil, lavender oil, lemon oil, ginger oil…. You can understand more about the essential oils for nausea as well as the causes of nausea by reading above best home remedies and top 7 essential oils for nausea. 5. Is exercise good for morning sickness? First things first, you’ll want to set a fixed target date when you will completely quit, like two or three weeks from now. However, it is important to find the doctor’s opinion first prior to taking these oral medications because they may have pessimistic effects about the body.